I didn't believe he would share but it according to this post he wants to sell it. I am planning to create an RPG database to sell. 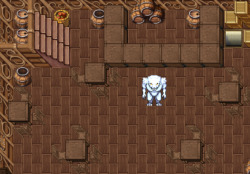 Customers will have this base to start the project with some sprites and a map with a continent. It would come with some systems and if the customer chooses to customize I would do it and sell it. So they would have everything to start a differentiated RPG project, whatever it is. He is going to sell PokeXGames trees and other nature things, too? Let me steal some work and sell it for money. It's pretty genius idea. I did not sell anything. I told you I thought so. I did not know there is a big difference between think and sell. Appeared 4 people asking, I said no because I did not know it was against the rules to sell pre fabricated thing. To what I know, no part of my ad is saying that I sold, on the contrary I said that I intended to sell, when they warned that I could not I did not sell. I have several clients decrypted here. I had this in mind until I was told it was not allowed. Even what I see nowhere in my post I said I sold, only that was in my plans. If I wanted to get the sprites of others and leave posting in everything that is forum out there. But out of respect I did not sell anyone's sprites. I told you long ago that your encryption was weak. And apparently it's not just me who knew it. When I decrypted your client, I promised that I would not sell or pass on to someone else. I fulfill my words friend. And according to what I said, he did not say he would sell his sprites. btw. Why this thread which is about guy who making optimization of OTC became an thread about person who showing RPG project. WTF? Funny that 98% of people in this forum use cipsoft sprites. Some use all cipsoft sprites. Will he sell PokeXGames trees and other nature things too? Let me steal some work and sell it for money. This is a very cool idea. The water of the PXG game is not Tibia? The edges of the water? 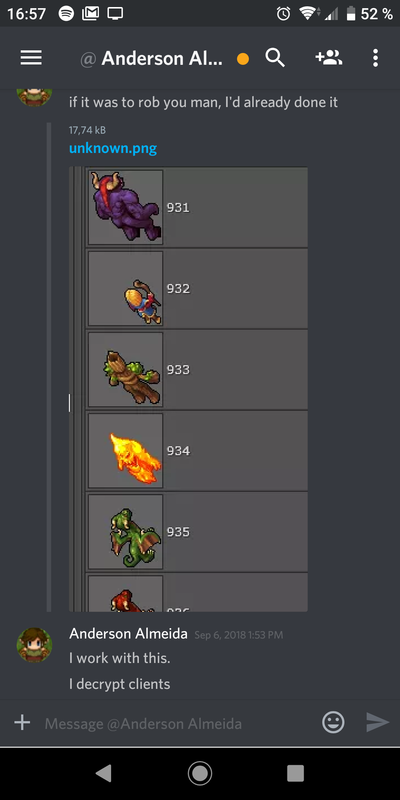 How many use the sprites and the client Tibia have is normal, but if it is one of you, is it a crime? To what I know the sprites, the client and among other things of cipsoft are not open to the public. But okay, let's attack because I thought about selling RPG base. I thank you @Stigma for alerting me that sales of pre-made products are not allowed. LEL I though you are not the guy who started the topic. Sorry my apologises then. I'm accepting new jobs already. I am with my computer again, but I have been 4 months without pc so I am updating myself to go back with everything.